Turn back that dial on your time machine to 1955 and get ready for some good old fashioned fun! 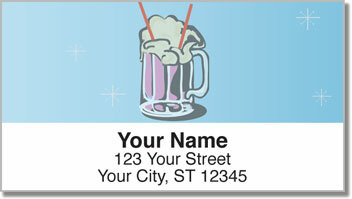 These retro return address labels take you back to a simpler time when the only thing parents had to worry about was that new music the kids called rock and roll. Back then, teenagers had to take off their shoes before they did the Mashed Potato or the Twist on the school's gymnasium floor. That's where the sock hop gets its name! 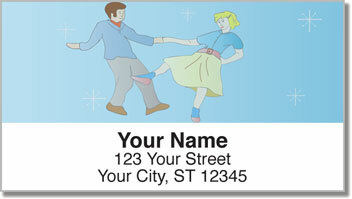 Sock Hop Address Labels from CheckAdvantage let you stick a little bit of fifties nostalgia on every piece of mail. You'll love how much easier it is to fill out envelopes when you say 'so long' to writing out your name and address by hand! 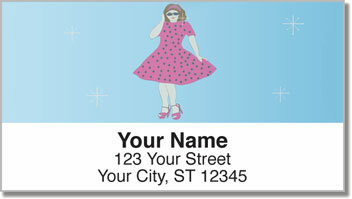 Get your own Sock Hop Address Labels today! 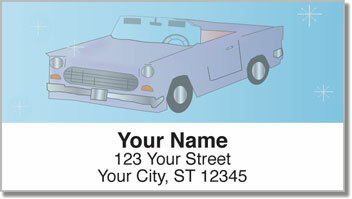 Don't forget...you can also order matching personal checks.